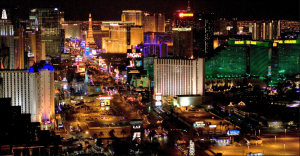 Las Vegas is known for tall skyscrapers, street performances, lavish clubs and extravagant casinos. That being said, any signs of mold are sure to keep visitors from fleeing this dynamic city. The hotels here are full of embellishments, warm spas, and top-rated customer service but what happens when mold is found in the rooms? Mold should not be found in any of the bedrooms. Whether you have had a pipe burst or suffered from a toilet overflow in the lobby bathroom or hotel room, call on 911 Restoration right away. Water is the leading cause in mold growth, leading to harmful illnesses. What kind of hotel wants their customers running out the door frantically? When you notice any signs of mold, call our mold removal Las Vegas team immediately. Do You See Mold on that Salad? Restaurants get frequent visits for food and safety inspection but during those in between times, mold could be growing. When a customer asks for bleu cheese crumbles but finds mold instead, this could pose a major challenge. Wet or damp areas should always be investigated so there are absolutely no signs of mold growth. If you spot mold in any area of the restaurant, contact our mold removal Las Vegas techs and we will respond within 45 minutes. Casinos are one of the major reasons that visitors travel to Las Vegas each year. That being said, it is critical for those owning, managing or working in a casino, to do a thorough inspection of the building. Mold can sneak to any area of the casino and although you may not spot it, someone else will later. You don’t want casino goers to become disgusted by mold. When you see any signs of mold, contact 911 Restoration La Vegas. We have the tools and equipment to remove every inch of mold and bacteria. Along with this we make sure there is no cross contamination and everyone stays protected.